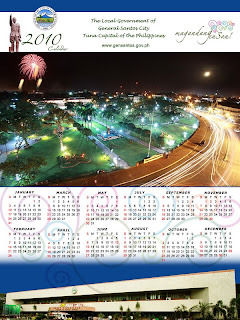 Our fellow blogger - photographer Leonard Pe got this shot of my personal fave General Santos Park. And now, it is featured at the local city's website as one of the shots for 2010 calendar. General Santos City has grown beautifully over the years. Thanks to the efforts of the local government and the private sector. Red Clothing for Me, Feng Shui's for Good Luck! Are You More Marilyn or Audrey? Fellow Blogger on Anniversary Shirt Print, Again!